Father Forces 11 Yr Old To Smuggle 104 Cocaine Capsules Into Europe By Swallowing Them. This is just horrifying. 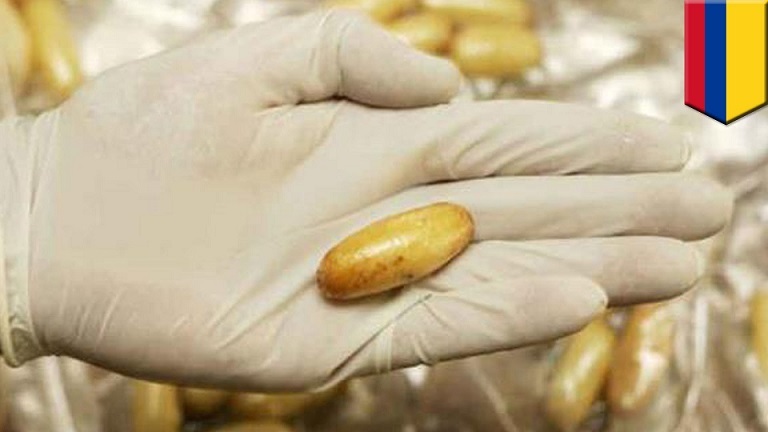 An 11-year-old Colombian girl is in critical condition after doctors removed 104 cocaine filled capsules from her stomach. According to police, the girls father forced her to swallow the 100+ pills. Officers are on the hunt for the girls father, who was seen on closed circuit TV rushing into an emergency room on Monday with his daughter. Minutes later, he calmly left the facility in Cali, Columbia. According to Associated Press, the man intended to have his daughter smuggle the cocaine to Europe. Police raided the man’s home, and found a plane ticket to Madrid in the girl’s name. Columbia’s child welfare Institute will take over custody of the child if she survives the incident.